SEO is the first step in the GOOGLE and Search Engine ranking process. We include fundamental SEO in all the websites we build and register your website with GOOGLE. If you’ve been skeptical about AdWords because you’re scared of losing money, you can take solace in this fact: Based on the major marketing key performance indicators (KPIs), AdWords still generates the highest ROI. A. We pay Google and you pay us. We require payments in advance in order to allocate your funds to your Adwords account. B. You pay Google directly via credit card after every R5,000 worth of Adwords clicks. 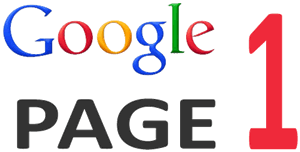 We will get you listed on GOOGLE PAGE 1 search results within six months! * It is not rocket science – it is quite simple but it cannot happen overnight. We implement our ‘Intensive SEO Plan’ above, to achieve these results. Great ROI is essential to us! 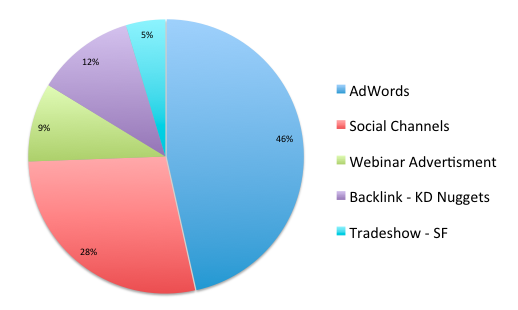 Our goal is that the new sales that you receive from these high GOOGLE rankings will more than pay for our fees. Our guarantee: If we do not get you onto page 1 of GOOGLE Search Results within 6 months then we will continue until we do at no cost. 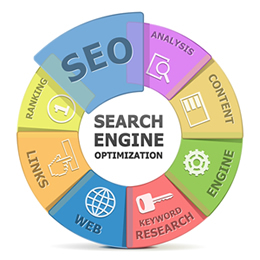 In order to assist you in your decision we will conduct research into the nature and volume of GOOGLE searches performed monthly for your business industry, and provide you with a detailed GOOGLE report at no cost: o Competitor analysis o Keyword analysis o Search volume by keyword o Traffic estimator o Suggested keywords. No, it’s all taken care by us. Our processes and quality standards are constantly updated as per the latest changes in algorithms. From the link partners to the list of article directories, we review everything from time to time. Yes. We are a member to major SEO related directories/chapters and subscribe to the industry SEO code of ethics. Apart from the initial approvals, none. Our service is aimed at saving your time and efforts. More involvement is required in the initial phases when procedural approvals are required. If we are doing Facebook posts for you then initially you need to drop us an email once a week with ideas or content. This will reduce as we get to know your business and are capable of doing it without your input, although it is always welcome and preferred. I am getting SEO done for my site. Would I still need SMO? Social media optimization can help boost your rankings by getting high quality links to your site. In fact, all these links being natural and organic, search engines loves these too. Social media sites, such Facebook, Twitter, Google+, Linkedin etc, are the most visited sites on the internet. A significant presence here acts like a large hoarding on a busy street. This helps more traffic to the site and given that it’s not a direct selling but interest-based engagement, the conversions are higher.